James Whale’s FRANKENSTEIN set the bar high for horror, and his follow-up THE OLD DARK HOUSE is one of the blackest comedies ever made. But with THE INVISIBLE MAN, Whale raises that bar by combining gruesome terror with his macabre sense of humor. 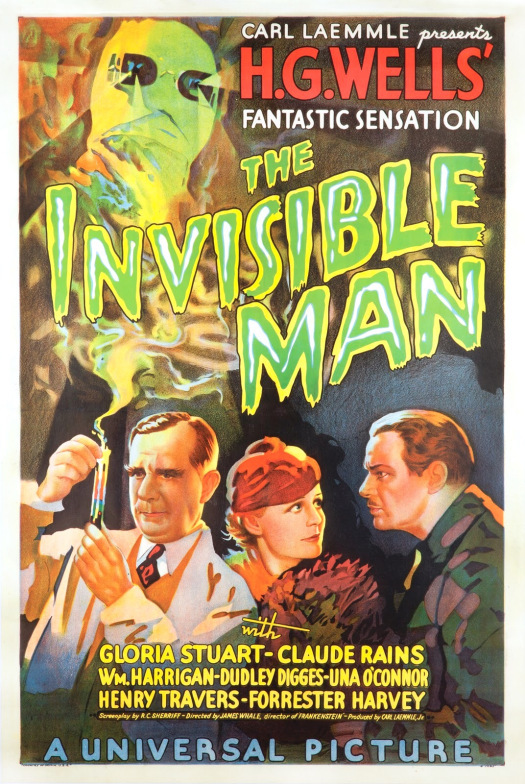 THE INVISIBLE MAN doesn’t get the respect of other icons in the First Horror Cycle (Frankenstein’s monster, Dracula, Imhotep), but Claude Rains’s outstanding performance as the mad scientist Jack Griffin, driven to insanity by the chemicals he’s pumped into his veins, is as sick and deranged as any you’ll find in the genre… and the fact Rains does much of his acting using only his voice is an amazing feat, and a testament to the man’s acting genius. This entry was posted in Film, Film Review, Horror and tagged Claude Rains, Cracked Rear Viewer, Gary Loggins, Gloria Stuart, Halloween Havoc!, James Whale, John P Fulton, The Invisible Man, Through the Shattered Lens, Una O'Connor, Universal Pictures. Bookmark the permalink. 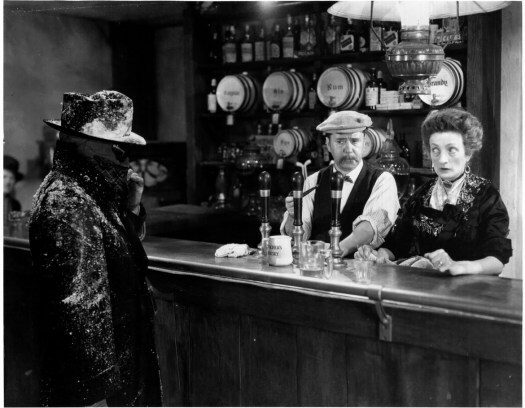 I think the Invisible Man is a perfect mix when it comes to the Golden Age monster films. It’s not as serious of a film featuring as menacing a monster. But it’s a great diverse kind of flower in the mix. It’s kind of like how Guardians Of The Galaxy is to the Marvel Cinematic Universe. It’s not really a hero film. But it gives viewers a breathe of fresh air in the realm of overly cliche hero films. So the Invisible Man rocks and only true lovers of the classics can appreciate it. Also, who doesn’t laugh at the insane Una O’Connor screaming at every moment. I swear that lady looked like my Grandma so it always made laugh even harder to see her performance.